FX announced today that the fourth season of Louis C.K.’s Louie will premiere on Monday, May 5, at 10:00 p.m. Eastern. By that point, the show will have been on hiatus for 19 months, and FX is eager to make up for lost time: The network will air two episodes each week, back-to-back. While it may seem foolhardy to burn through 14 new episodes of Louie so quickly, FX brass are feeling cocky. “Louis said he needed extra time between seasons three and four of his show because—even though Louie was the most critically acclaimed television comedy series in America—he needed to make it even better,” said John Landgraf, the FX chief executive, in a statement. 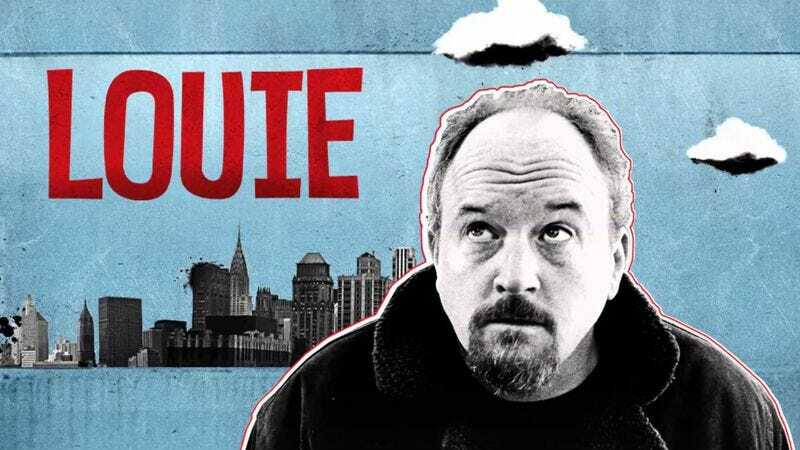 “Based on the first three episodes we’ve seen, remarkably, he accomplished his goal.” So, sure, maybe this season of Louie will be the best thing that C.K. has ever done, but that’s only because Untitled Pets Movie isn’t finished yet.